Here's a rare precursor to today's performance SUVs. 2019 Ford Explorer vs. 2019 Dodge Durango: Which Is Better? Both of these 3-row family haulers are due for a redesign. Yes, it's true -- though you'd never expect it. 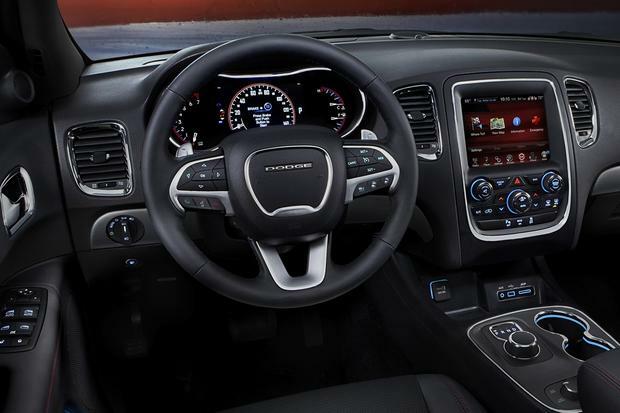 With a new ground-pounding Beats by Dre 10-speaker audio system, the 2015 Dodge Durango has an aggressive soundtrack to match its looks. The full-size 2016 Dodge Durango offers bulky engines, three rows of seats and towing capacity for families who do it all. 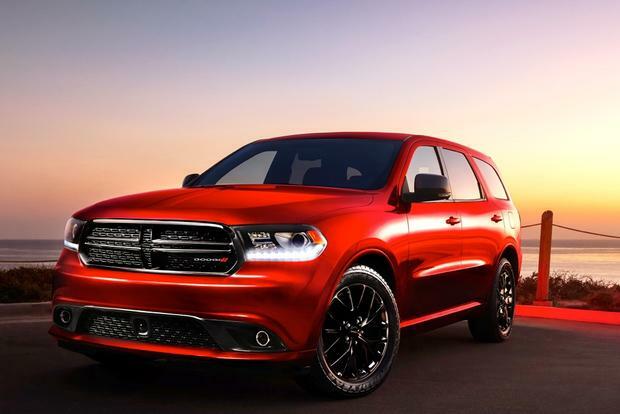 The 2015 Dodge Durango is a rare SUV that isn't just a tall station wagon with tough-guy styling cues. Based on the popular Jeep Grand Cherokee, the Durango's rear-wheel-drive platform gives it real credibility as a workhorse, whether you're towing something or heading off the road. The Grand Cherokee's carlike ride and handling are present here as well, so the Durango gives up nothing to the Ford Explorers of the world as a suburban errand-runner. Imagine that: an SUV that genuinely provides the best of both worlds. Of course, the Durango isn't perfect. Its chief problem is its thirsty V8, an issue that remains even after Dodge replaced the SUV's 5-speed automatic with a new 8-speed last year. Also, while the Durango's third-row seat is handy, it's far from the roomiest you'll find. All quirks aside, one look at the Durango's striking styling -- or one prod of the V8 model's accelerator -- might be enough to sell you. If you want a real SUV without the usual compromises, the Durango is among the best of its breed. After a facelift for 2014, the Durango is unchanged for the 2015 model year. The Durango's standard engine is a 3.6-liter V6 that registers 290 horsepower and 260 lb-ft of torque. 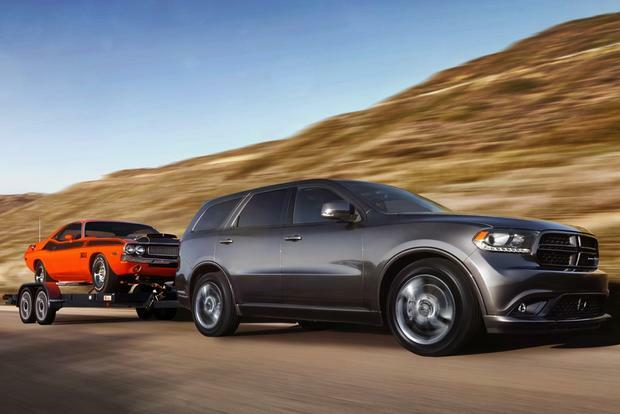 Those are competitive numbers, especially considering the Durango's 6,200-lb towing capacity with its standard engine. With rear-wheel drive and the new 8-speed automatic transmission, fuel economy is 18 miles per gallon in the city and 25 mpg on the highway. Opting for all-wheel drive drops those figures to 17 mpg city/24 mpg hwy. 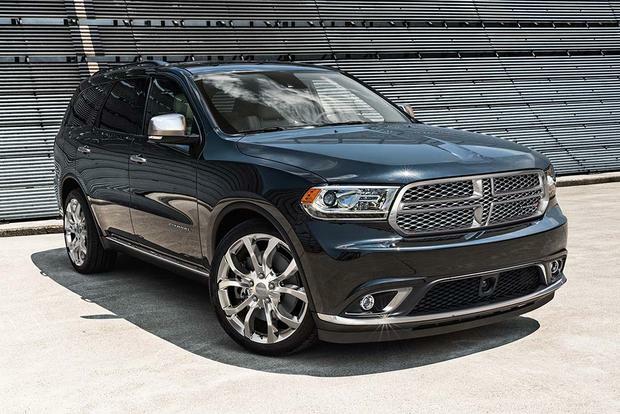 Standard on the Durango R/T and optional on the Crew and Citadel is a 5.7-liter V8 that churns out 360 hp and 360 lb-ft of torque. The V8's larger size and extra torque also bump towing up to 7,400 pounds. However, it drops fuel economy to 14 mpg city/23 mpg hwy with rear-wheel drive or 14 mpg city/22 mpg hwy with the optional 4-wheel drive. 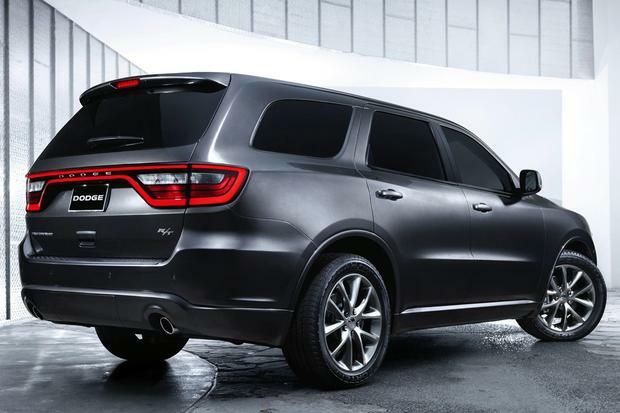 The 2015 Dodge Durango comes in four trim levels: SXT, Limited, Citadel and R/T. The SXT ($31,100) gets things rolling with 18-inch alloy wheels, trizone automatic climate control, a manual tilt-telescopic steering column, cruise control, and a 6-speaker audio system with an auxiliary input jack. The Limited ($37,700) adds rear parking sensors, a power lift gate, power front seats with driver memory, keyless entry and ignition, iPod and Bluetooth connectivity (optional on SXT), a 9-speaker audio system, a 6.5-in touchscreen display with voice-command capability, a rearview camera and 28GB of digital music storage. The luxurious Citadel ($42,000) tacks on 20-in wheels, xenon headlamps, adaptive cruise control, heated and cooled front seats, leather upholstery, a power tilt-telescopic steering column and a navigation system. Meanwhile, the sport-themed R/T ($40,500) loses some of the Citadel's standard luxuries but gains a sport-tuned suspension, "digital suede" upholstery, various sporty styling cues and, of course, the 5.7-liter V8 engine (optional on Limited and Citadel models). 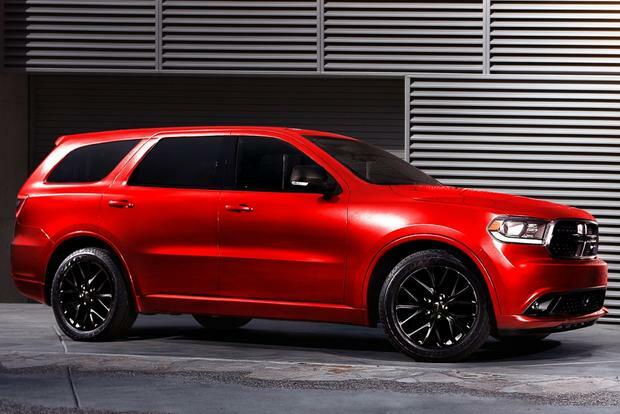 The Dodge Durango comes with standard stability control, 4-wheel anti-lock disc brakes and six airbags. In government crash-test ratings, the Durango garnered an overall score of four out of five stars, including four stars for frontal impacts, five stars for side impacts and three stars in the rollover test. The independent Insurance Institute for Highway Safety gave the Durango its highest possible rating, Good, in every category. The Durango traverses bumps gently and remains quiet at highway speeds. This is a large vehicle, though, and you'll never forget it from behind the wheel. Still, the Durango handles better than something this size has a right to, especially with the R/T's performance-oriented suspension. Among tough rear-wheel-drive SUVs, the Durango's driving experience stands out as one of the very best. Ford Explorer -- Recently redesigned and now based on a front-wheel-drive car platform, the Explorer has become a full-on crossover SUV. It's not as utilitarian as the Durango is, but it's certainly more fuel efficient. Chevrolet Traverse -- The Traverse offers a comparatively large cargo bay, and its V6 drivetrain is a smidge better than the Durango's. Forget about off-roading or serious towing, though. Jeep Grand Cherokee -- If you don't need the Durango's third-row seat, we strongly recommend checking out the reinvented Grand Cherokee. It is basically a smaller, nimbler version of the Durango with a nicer interior. It's hard for us to recommend a vehicle with a 14 mpg city/22 mpg hwy fuel economy, so as much as we love the 5.7-liter V8, we'd have to go with the moderately more efficient V6. That's especially true considering its new 8-speed automatic makes it feel even faster than before. Make ours a Limited; we think it's worth the stretch over the rather basic SXT model.